Results from the Phase III IMpower150 study have demonstrated that the combination of atezolizumab and bevacizumab plus chemotherapy provides a significant and clinically meaningful reduction in the risk of disease worsening or death compared to bevacizumab plus chemotherapy in the first-line treatment of people with advanced non-squamous non-small-cell lung cancer (NSCLC). 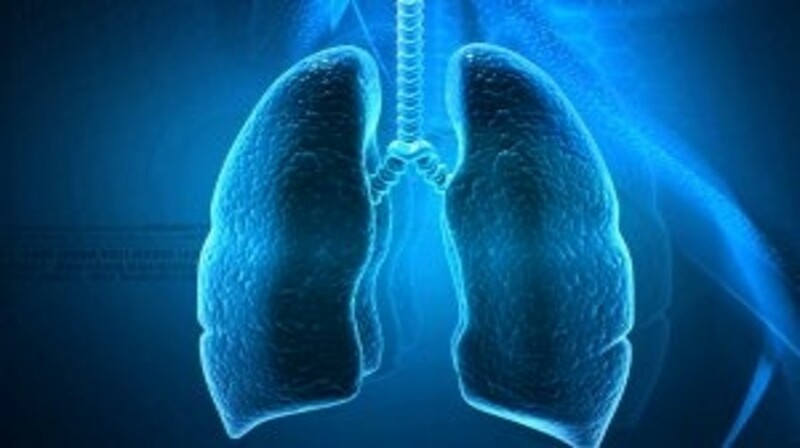 In the study, 1202 individuals with stage IV non-squamous NSCLC who had not been treated with chemotherapy for their advanced disease were randomized to receive atezolizumab plus carboplatin and paclitaxel, atezolizumab and bevacizumab plus carboplatin and paclitaxel or bevacizumab plus carboplatin and paclitaxel. The trial’s co-primary endpoints were progression-free survival (PFS) and overall survival (OS), with the analysis of the former goal only statistically powered to demonstrate a comparison between patients who received atezolizumab and bevacizumab plus carboplatin and paclitaxel and those given bevacizumab plus carboplatin and paclitaxel. A doubling of the 12-month landmark PFS rate was observed with the combination of atezolizumab and bevacizumab plus chemotherapy, where it was 37%, compared to bevacizumab plus chemotherapy, where it was 18%. Early results from the co-primary endpoint of OS are “encouraging,” with preliminary data highlighting a 4.8 month benefit in favour of atezolizumab, bevacizumab and chemotherapy, where OS was 19.2 months, versus bevacizumab and chemotherapy alone , where OS was 14.4 months. The next OS interim data are anticipated in the first half of 2018. The rate of tumour shrinkage (a secondary endpoint in the study) was higher in individuals treated with atezolizumab and bevacizumab plus chemotherapy compared with bevacizumab plus chemotherapy, with rates of 64% and 48%, respectively. As well as being assessed in all patients in the study, the co-primary PFS endpoint was evaluated in a subgroup of individuals who had a specific biomarker dubbed Teff. In this patient population, the combination of atezolizumab and bevacizumab plus chemotherapy reduced the risk of disease worsening or death by 49%compared to bevacizumab plus chemotherapy, with respective median PFS of 11.3 months and 6.8 months.